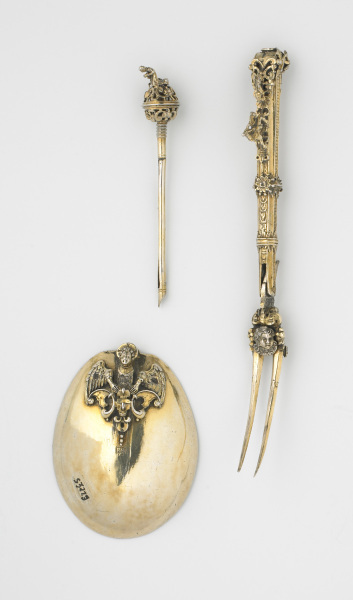 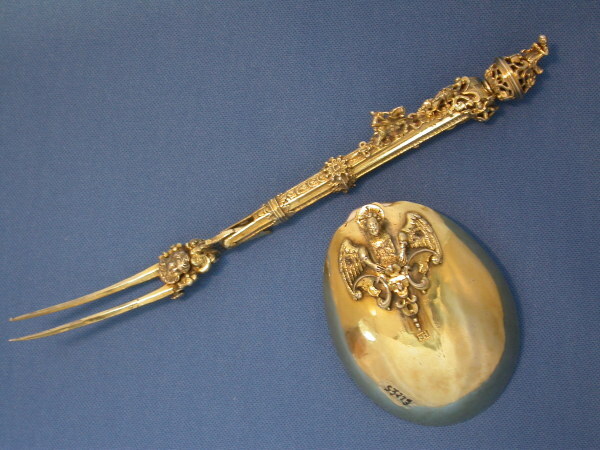 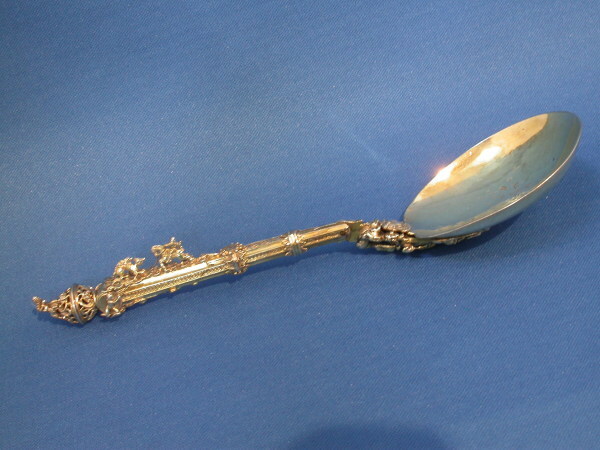 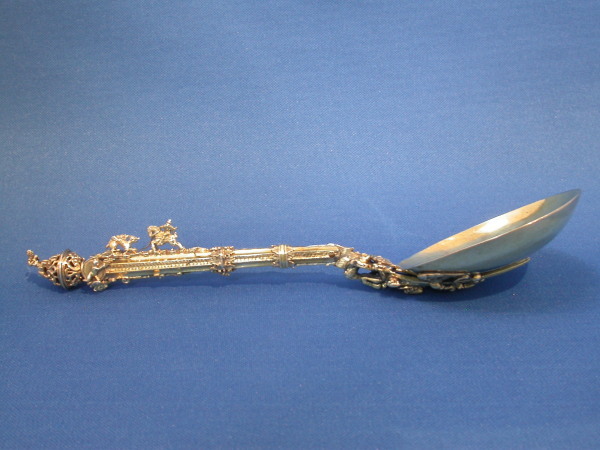 This extraordinary object combines a folding fork, spoon and pen. 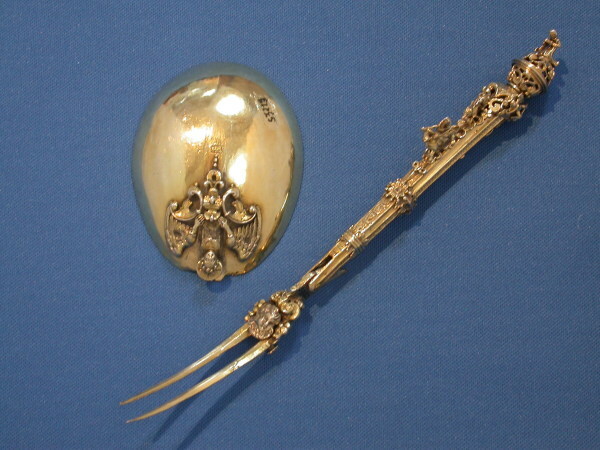 It would originally have also contained tooth and ear picks and have had a leather carrying case. 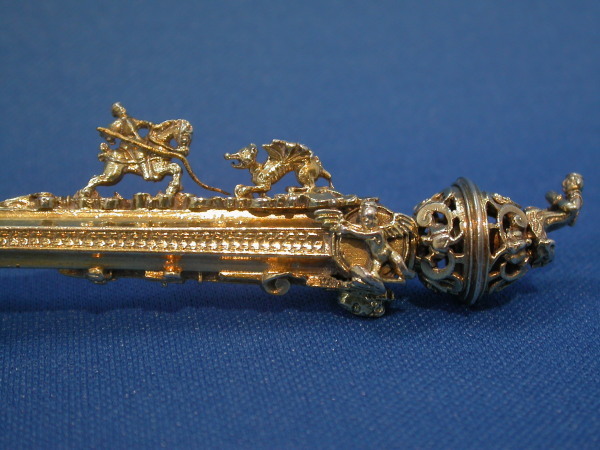 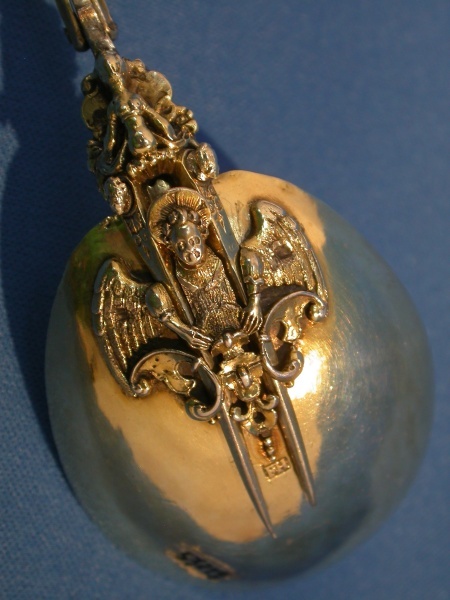 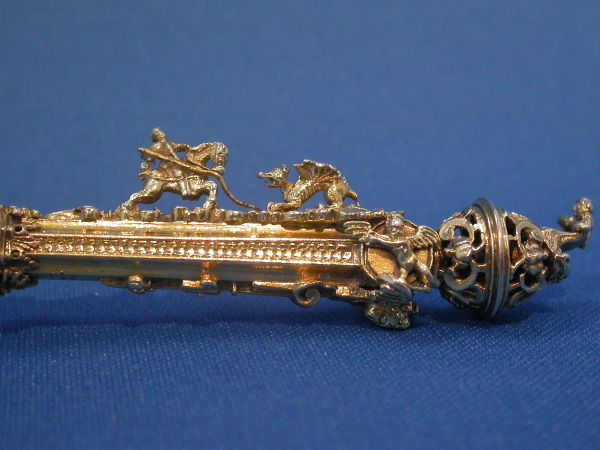 The stem is decorated with tiny figures of St George and the dragon and the finial with the kneeling princess.